Samsung i8510 INNOV8 is equipped with the typical Symbian file manager. Its functionality is practically limitless including copying, moving, creating new folders - you will hardly need something that the INNOV8 lacks. What the phone misses is a Search application, as seen on Nokia sets. You'd better keep that huge storage space shipshape or you will never be able to find the files you are looking for. Thanks to the ShoZu integration, all the multimedia content on the device, can be shared seamlessly to a variety of web services. Samsung i8510 INNOV8 has a nice picture gallery that can operate in both portrait and landscape modes, toggling between the two as easy as flipping the phone to its side. However it lacks the 3D rotating view that competing Nseries models boast. However, when viewing a single photo, you can only work in landscape mode. But since this makes best use of the display anyway, we hardly consider it a disadvantage. Zooming and panning speed is hardly record-breaking but isn't too bad either. These are 8MP photos it has to deal with after all, so we are quite happy with the INNOV8 speed. The gallery offers a nice slide show with customizable effects and delay between slides. There is also a built-in image editor that allows you to do some basic photo editing straight on your phone. Barely surprising for a multimedia powerhouse, the music player of Samsung INNOV8 does its job with ease. With the huge number of supported formats you will hardly ever come across an audio file that the phone won't handle. Album art is also supported. There are also three visualization options, so the INNOV8 has it all covered. The equalizer bars in the two optional visualizations are synced with the rhythm of the currently running track and not just randomly going up and down as we've seen elsewhere. Your music library is automatically sorted by artist, album, genre and composer and searching tracks by gradual typing is available. You can also create your own playlists in no time. The process of adding tracks to the library is as simple as choosing the refresh option. You won't need to do that if you upload the music via the proprietary Samsung PC Suite application. 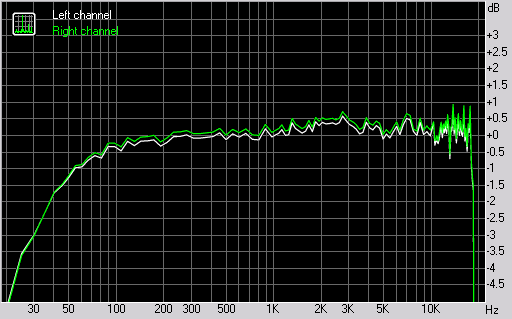 The player comes with a massive count of equalizer presets. There are seventeen of them and new ones can be added in a matter of seconds. Quite naturally, the player can also be minimized to play in the background. In this case a tab appears on the standby screen indicating the currently running track. The FM radio on Samsung i8510 INNOV8 has a neat and simple interface and can automatically scan and save the available stations in your area. It also has RDS support and is capable of FM recording. Naturally, radio playback through the speakerphone is also available but you still need the headphones plugged to act as an antenna. Samsung i8510 INNOV8 went out of our audio quality test with flying colors, effortlessly scoring the pass marks on every reading and even excelling at some. We simply cannot overlook the outstanding noise level, stereo crosstalk and dynamic range readings. The total harmonic distortion is also among the best results we have ever seen a handset achieve. The intermodulation distortion is very good too and, with a frequency response graph like that, there is very little more to ask for. The only problem we see is the low-pass filter for the lowest of frequencies but we have seen far worse. The Samsung i8510 INNOV8 video player can work in both portrait and landscape mode and can be switched to fullscreen. When in full screen, the soft key labels are hidden so that they don't spoil the viewing and only pop up when a key is pressed. The phone also has DivX and XviD support straight out of the box, which means you can just upload your .avi movies and enjoy. You can of course install a DivX and XviD player on any other Symbian but we are glad the INNOV8 saves us the effort. And as you might have guessed, watching a movie on a screen this size is quite an enjoyable experience. It's no HTC Touch HD of course, but this is as high as non-touchscreen Symbian goes for video watching (okay, we did like the Nokia N96 kickstand but it's not such a biggie).